Or at least alter one! That's the challenge for October at (Some) Assembly Required. Alter a pumpkin of any kind and link us up by All Hallow's Eve at witching hour to be eligible for our hauntingly wonderful prize. 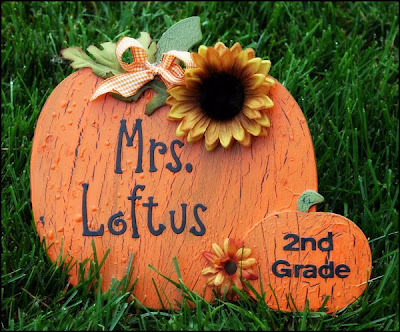 You can alter pumpkins made of wood, carvable faux ones, ceramic, even the real deal! 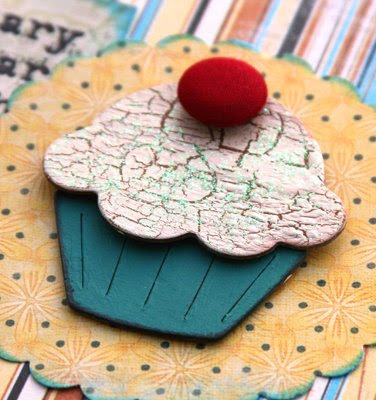 This little beauty was made with my recent favorite product - crackle medium. If you heat up the final paint layer with an embossing gun you get a very cool bubbled look which conveniently resembles pumpkin rind. Just think of the possibilities! Big congrats to our September winner Kelli Smith! 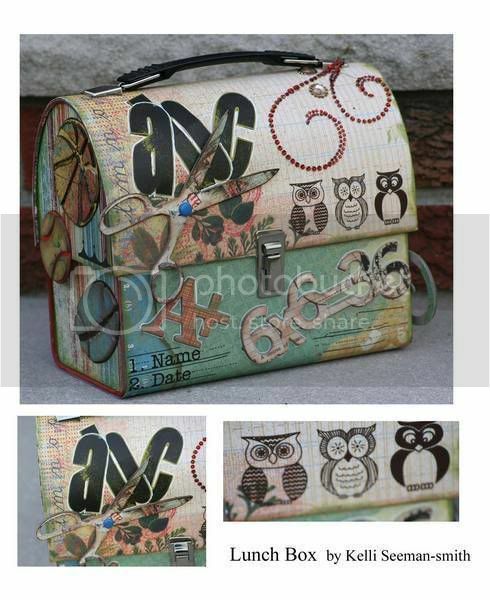 Take a peek at her altered lunch pail here. at least in terms of cards! 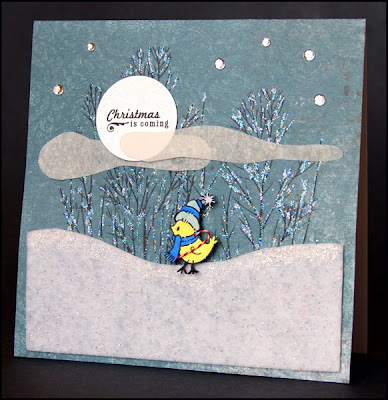 I have been having a lot of fun making Christmas cards for various challenges. This one is for the Simple Saturday bling challenge at SBO. Go check it out! Details for this card are here. More fun from Say It With Letters! When I earned my recent guest design spot with Deb, I took the opportunity to buy an extra set of her products to alter. Here's what I made! The bat uses Doodlebug sugar coated cardstock, red bling and Platinum Stickles. Click on the image for a closer look at the pattern on the bat. 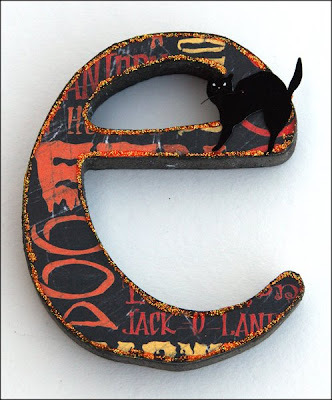 This e uses the Verbal Creep paper from Reminisce. 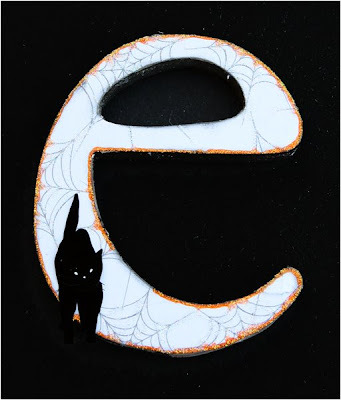 This white e uses spiderweb paper by Art Warehouse/Creative Imaginations. 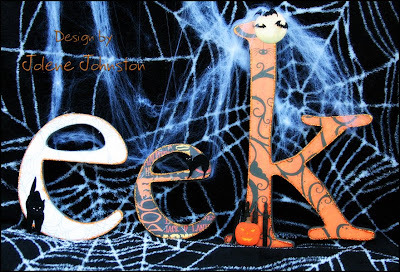 The k features Halloween Whimsy Orange Swirl paper by K & Co. All three letters have Orange Peel Stickles around the edges and share one pack of Jolee's Boutique dimensional stickers. I decided to put some of my favorite Bahamas photos into a slideshow to share with my friends who probably won't see the entire album in person. Enjoy! This Challenge is TO DIE FOR! It's a new Caardvarks challenge! 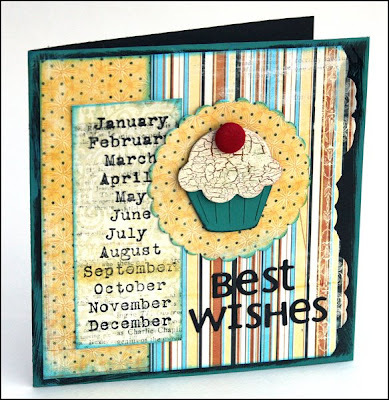 Create some awesome cards using die cuts as the showcase items and link us up at the Die Cuts challenge post by October 3rd at midnight. The prize for this one is really cool, take a look! It certainly is starting to feel like fall around here! To celebrate, I was lucky enough to alter this beautiful set of FALL letters from Damboise Designs and Say It With Letters. This Smerkin font is brand new and wide enough to hold all the paper and goodies you want to show off. I added sunflowers, wheat, fall leaves, acorns, twine and ribbon to mine. 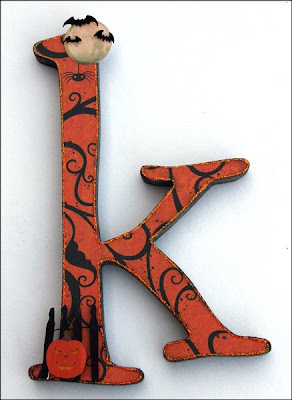 Each letter is predrilled with a keyhole hanger if you want to use the set on the wall. I used mine on my fireplace mantle propped against a few small votive candle jars. Detail photos for this project can be seen here. 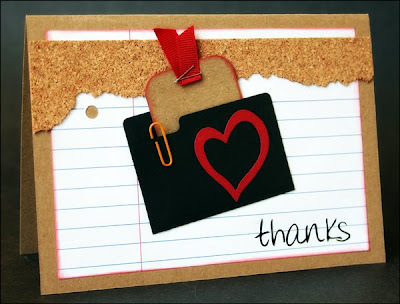 Special thanks to Deb Damboise at Say It With Letters for this guest designing opportunity. I have a set of her Halloween shapes and letters in the works...stay tuned! ETA: My FALL letters design is now available as a kit. Click ♥ here ♥ to get yours! Working for a Living - Caardvarks! You are challenged to create a *NEW* card using office supplies, a career theme, work-related elements, whatever speaks to you. Have your card linked to us in the comments section of this post by September 18th at Midnight for a chance to win YET ANOTHER $25 GIFT CERTIFICATE from Scrapbook Express! Whohoo! Details for this card are here. It's back to school time at (Some) Assembly Required. For September's challenge, please alter a lunch pail or similar container and link us up by midnight on Tuesday, September 30th. One lucky winner will receive an awesome prize pack filled with goodies! This is a fun little project I made for my son, Ian. 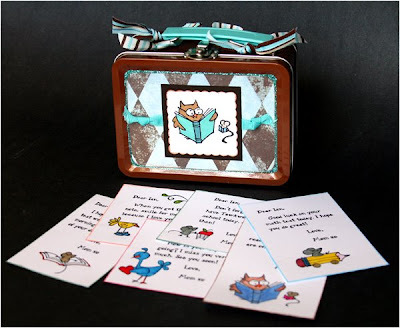 I printed messages on cardstock, then stamped and colored fun images of animals with books, pencils, etc. I'm going to be tucking these little "love notes" into his lunches as the year goes on. The cards are laminated to keep them clean from messy second-grade crumbs and spills so I can reuse them when possible.